Methods of Payment Available: Cash, cheque and debit are accepted on site. Customers may make an application to the Municipality for set up of a charge account. Construction and Demolition (C&D) Debris waste often contains bulky, heavy materials, including concrete, wood, asphalt , gypsum, metals, bricks, and plastics. C&D debris also includes salvaged building components such as doors, windows, and plumbing fixtures. 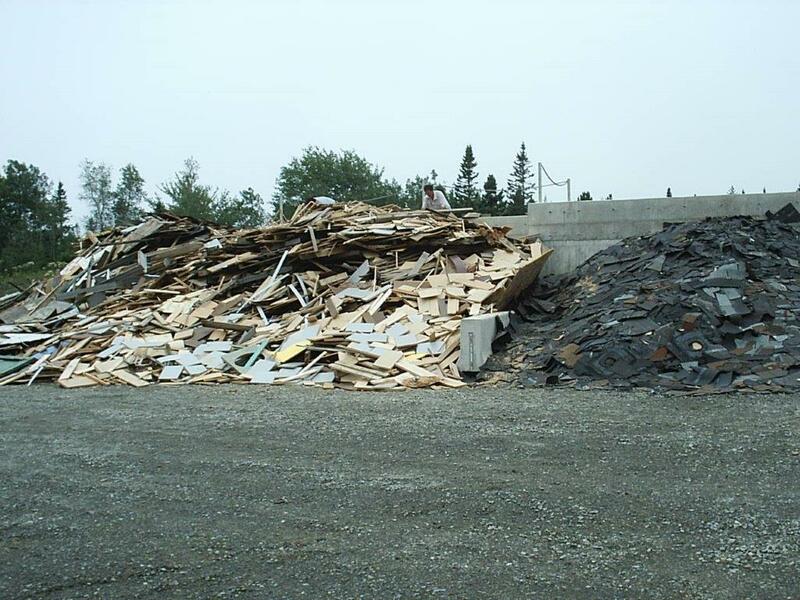 C&D waste makes up between 30% and 40% of the total amount of solid waste that is created in Nova Scotia. Reducing C&D debris conserves landfill space and reduces the environmental impact of producing new materials. It can reduce the overall building project expenses through avoided purchase/disposal costs. Vinyl/plastic building materials, carpeting, built up roofing, ceiling tiles, vinyl flooring & linoleum, wiring, lighting fixtures, fibreglass and styrofoam insulation. *Metals are also picked up at curbside during Spring and Fall Metal Collections.